commented on "In the few months my website has been live, I've noticed a curious trend. The Deeper Audience Profiling product is the least clicked-on ..."
NEED TO GET TO GRANDMA'S? 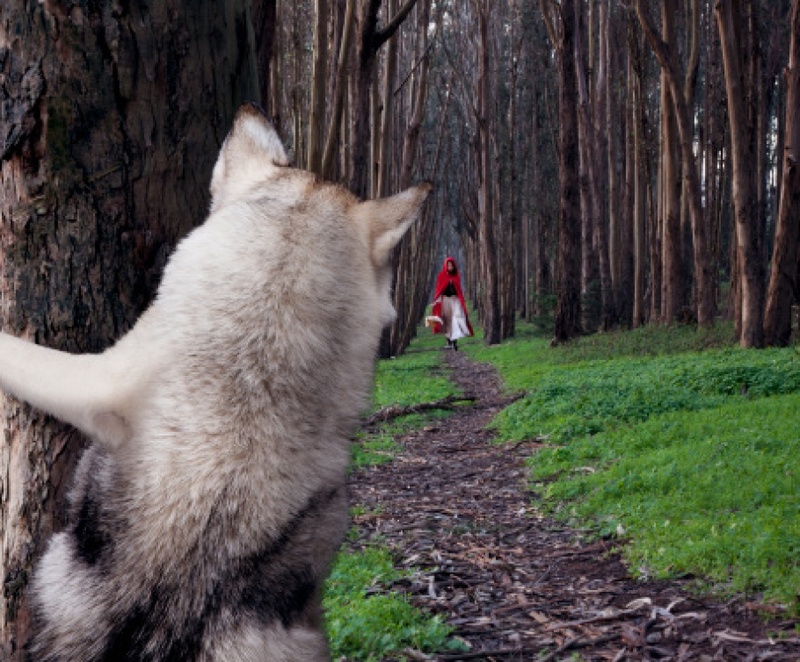 WHY TAKING SHORTCUTS IN AUDIENCE RESEARCH JUST FEEDS THE WOLF. In the few months my website has been live, I've noticed a curious trend. The Deeper Audience Profiling product is the least clicked-on page. It surprised me because I thought it would top the charts. It's a product that directly supports the foundation of any communication advice. And also, to let you in on a little secret, it's the most valuable and powerful product on there. So I made a few calls. Is it because PR agencies are using online research tools to give them audience insight now? Yes. Is it because the client shares their research with the agency? Yes. And could we say that audience research is seen as a little bit expensive and you can still do your job without it? Possibly... ok, yes. Let's look at these three answers more closely. We use social media research tools. Our clients love the graphs. I will start by saying, social media research tools are excellent. No ifs, buts, or caveats. They give professional communicators a never-before-seen view of the audience down to an individual level. They show conversations, connections, influence and behaviour to a granular detail. They are also more affordable than traditional research products. Their limitation, however, is they only give you half the audience picture, or 60% if you use the latest Australian Bureau of Statistics numbers from 2010-11. And in doing so, they miss the macro trends that drive the best PR ideas. Starting with the research, 83% of Australian households in 2011 had access to the internet and 77% of those used it daily, which roughly translates to six in ten using the internet every day. Looking into the age demographics, only 41% of people aged over 60 used the internet (SDAC 2011). Compare that to 12 million Australians using Facebook today, less using Twitter and even fewer on Instagram, and it roughly supports the 60% trend. While these are macro figures and clearly younger demographics are far more reachable online, it points to a 40%-size gap in the ability of social media tools to provide a complete audience picture. The reality is that audiences spend more time offline than they do in front of their PC. The concerns and issues that they are likely to act on come from societal pressures in their immediate environment. Online may raise awareness but if the issue directly affects an audience group in the non-virtual world, you'll see action. And these are the audience trends and behaviour that will deliver the best communication ideas. Our client shares their research with us. To completely mangle the cliché often attributed to Albert Einstein - the definition of insanity is trying to reach a different result from the same research. While it is very nice of the client to share their research and is the cheapest way (i.e. free) to understand the audience, it makes it very difficult for the agency to produce fresh and innovative conclusions to the client's communications brief (that the client hadn't already considered themselves). There's no opportunity for unique insights, that surprise 'aha' moment when you glean a trend or behaviour that the client hadn't considered. It also doesn't differentiate you from other agencies who get access to the same research (in a pitch situation). Again, the advantage of having your own audience research immediately sets your ideas apart, causes the client to lean in to learn more about their customers' behaviour and immediately demonstrates that you understand the client's business. Audience research is expensive and you can still do your job without it. No way. Audience knowledge should be the hallowed ground of the communication professional. Clients should be in awe of your insights, in how best to communicate to an audience that they have been unable to reach themselves. By taking shortcuts, communication agencies have lost that aura to other marketing disciplines. Too many times, I've seen excellent communication professionals making assumptions about audience behaviour based on publishing house audience research. Where and when do they read it, what issues most concern them, what action did they take after reading it, are questions that circulation data doesn't answer. Understanding the audience through authentic offline research is fundamental to any good communication program. Without a deep understanding of the audience group's attitudes, behaviour, demographics and information gathering habits, you are robbing the communication strategy of its power to really influence and change behaviour. And in doing so, it reduces the client's confidence to invest in your ideas.